You don't see too many commercials for jeans on TV nowadays, and I'm not sure why that is. I thought it might be because there weren't that many brands competing in the denim market in the 70s and 80s, but that was hardly the case. 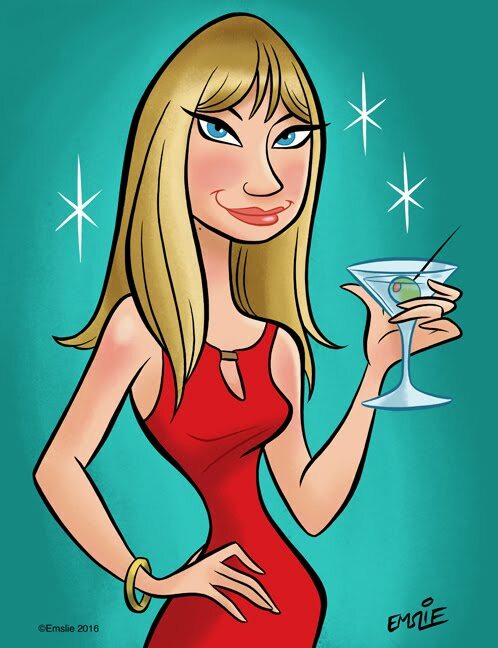 There was Sasson, Sergio Valente, Bonjour, Gloria Vanderbilt, Calvin Klein, Lee, Wrangler, and Zena, just to name a few. I think now with so many clothing chains and designers including denim as part of their collection, it's considered a waste of time to try to stand out. Unlike today, where you can build your own custom pair of jeans, the ones being constructed back then seem a lot simpler than current styles. I'm pretty sure spandex wasn't being incorporated into jeans until the 90s, so they didn't have a lot of stretch. They also seem high waisted compared to the low cut styles of today. No boot cuts as far as I know - you had your choice or straight leg or skinny. Embellishments were at a minimum - not a lot of rhinestones or acid washing until the 80s. 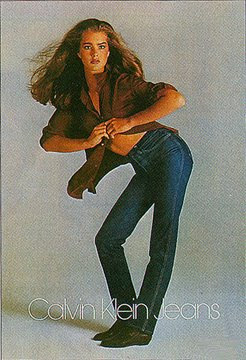 But the jean advertising phenomenon left us with a lot of fun commercials from the period, so I'm just going to randomly post some here, including the controversial Brooke Shields one. Here's a Jordache ad from 1979. These jeans look tight - it's a wonder she didn't split any seams during the fashion shoot. How many of us still remember the "Uh oh, Sergio" jingle? I also miss the local rollerskating rink - it was so much fun. I noticed these Chic jeans were "Made in the USA" towards the end of this 1986 commercial - when's the last time you saw that? I really like this intense Bonjour one - VERY 80s colors and style even though I don't remember it. I never did figure out what Brooke meant by saying nothing coming between her and her Calvins - it can either mean she doesn't let anyone in her pants, or she doesn't wear any underwear. The crotch shot is still unsettling today. ahh who could forget Jordache? Didn't Anna Nicole do some modelling for them?